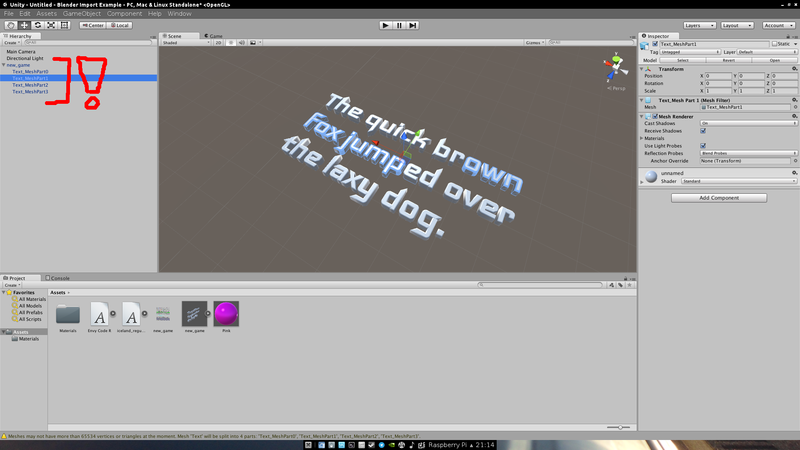 So as I was working on Frank's Big Game, something I really wanted beyond Unity's standard "3D Text" Object type, was a way to communicate to the player with text that had more volume and substanance. This tutorial will show you how to add 3D Text into a game as a 3D Model using Blender. 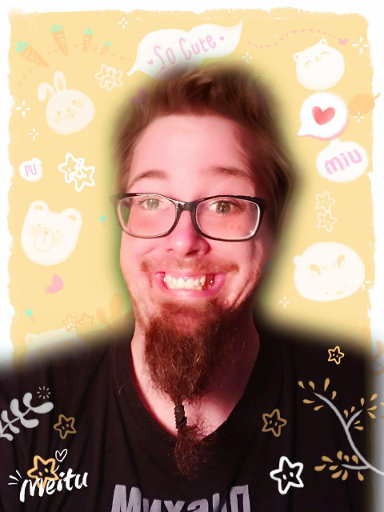 This tutorial was not only created by request of @WesPaugh but also as a form of documentation if I ever need to repeat the process. 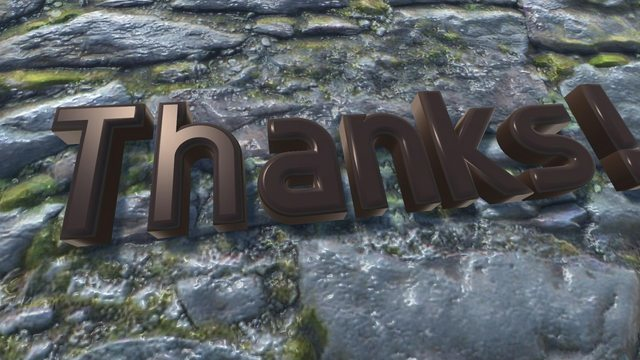 First thing we need to do is to open up blender with a new project. 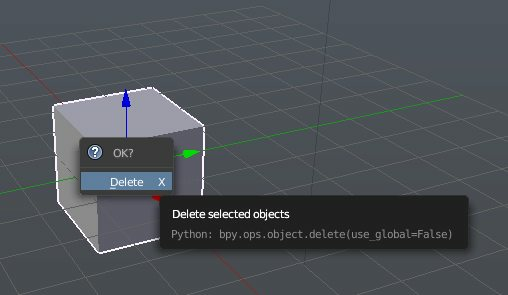 Select the object by clicking on it, and press the "delete" key to delete the object. Confirm the deletion. Add a Text object in blender. 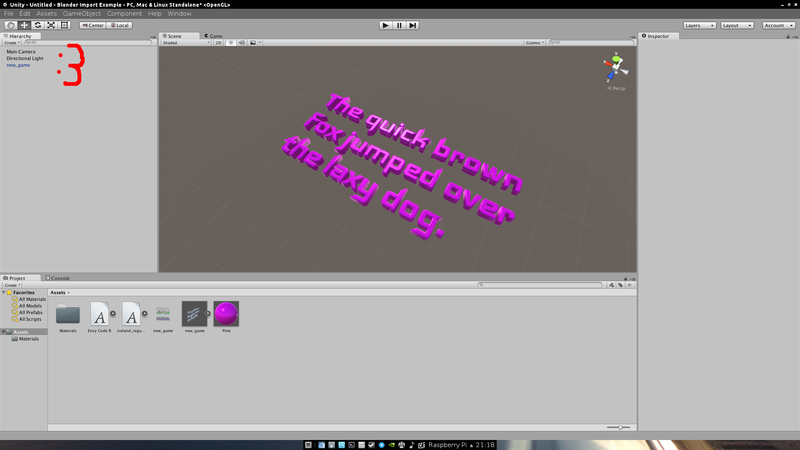 Change the mode to "Edit Mode"
Type whatever text you want to be in the object (in this case, "New Game"). Select the "F" and expand the "Geometry" and "Font" sections. Bevel - Depth .. This will round the characters to give them a fuller feel. Bevel - Resolution .. 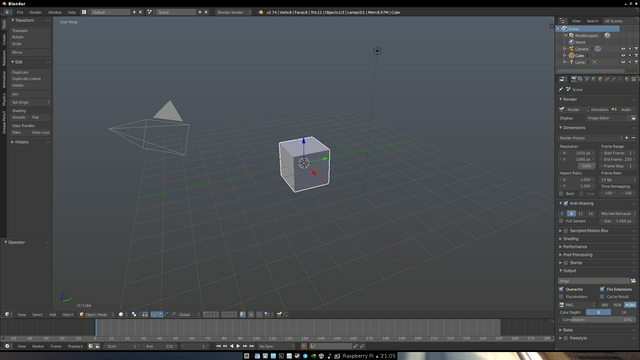 This will determine how many extra faces blender will use to round the edges of the object. 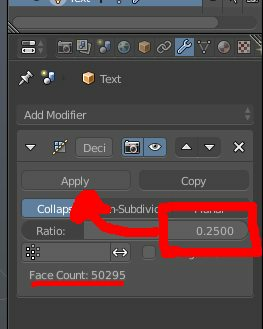 The higher this value is, the bigger the chance that you will hit the upper limit of Unity's rendering system for imported object. We'll talk about this later. 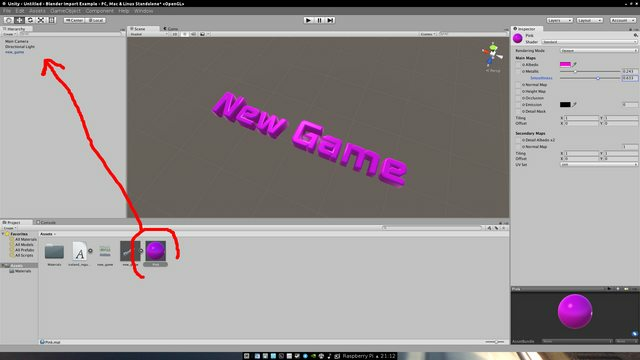 Open up unity, and start a new project. 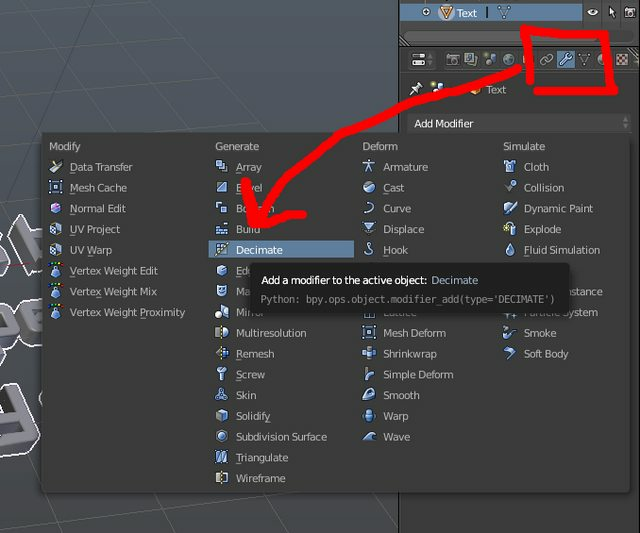 Add your blender object from your project tab into the scene heirarcy tab. Feel free to make a material and add it. 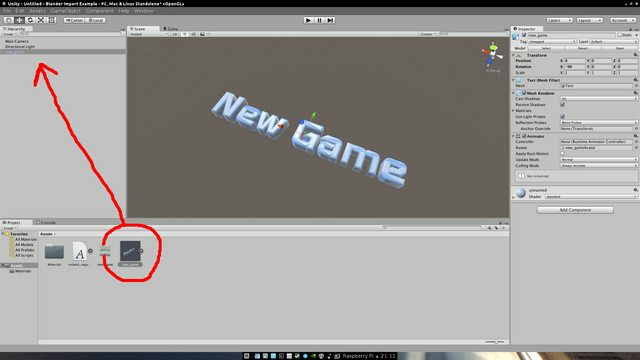 In case your object has too many vertices. In some cases, you may want more characters, or more resolution. While we may not be able to circumvent the verticies limit that Unity imposes on us, we can reduce the number of redundant verticies in the text object. Here you see how the object is split into three different meshes, and the material will no longer apply to the root object. 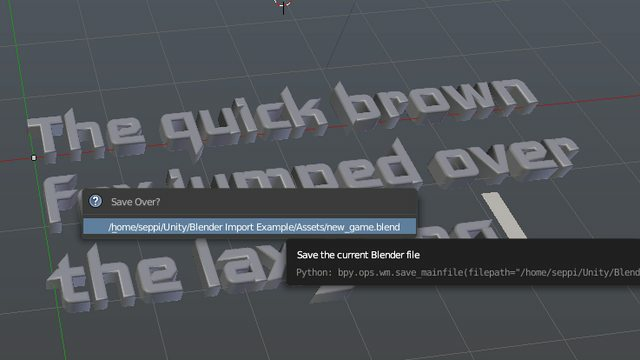 Open your blender file back up, and make sure you are in Object Mode. 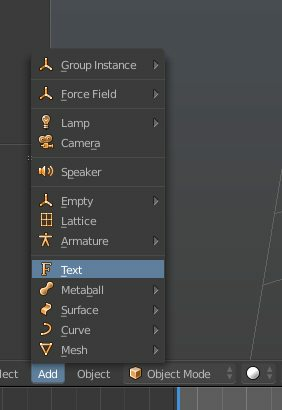 After selecting the text, press "Alt-C" and confirm "Mesh From Curve/Meta/Surf/Text". Select the "Wrench" icon, and add a modifier. Then select "Decimate". Change the "Ratio" so that the face count is around 50k at most. In this example, there were four meshes for the one model, so we will quarter it. Then select "Apply". 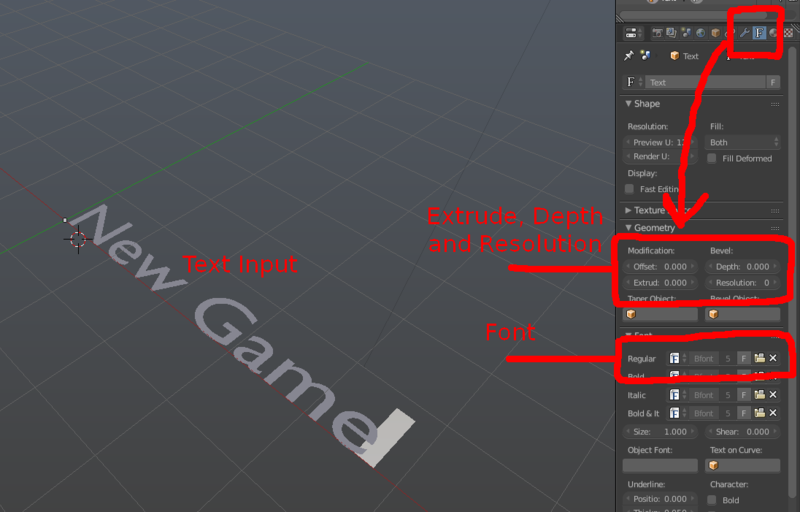 If done correctly, the Blender Object should now only have one mesh, and the material should properly apply now. 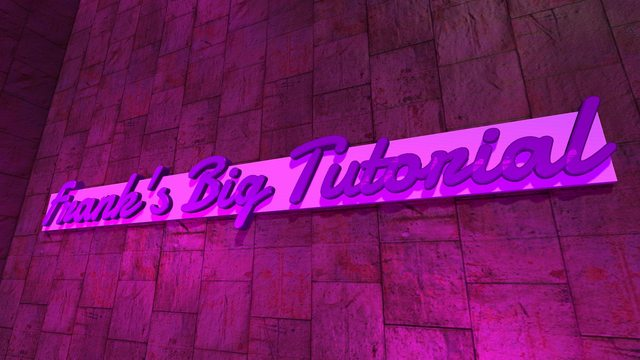 That's the tutorial, thanks for reading!